YAIBA Aluminum sound can express drummers' inspiration. YAIBA Aluminum sound can express drummers’ inspirations. 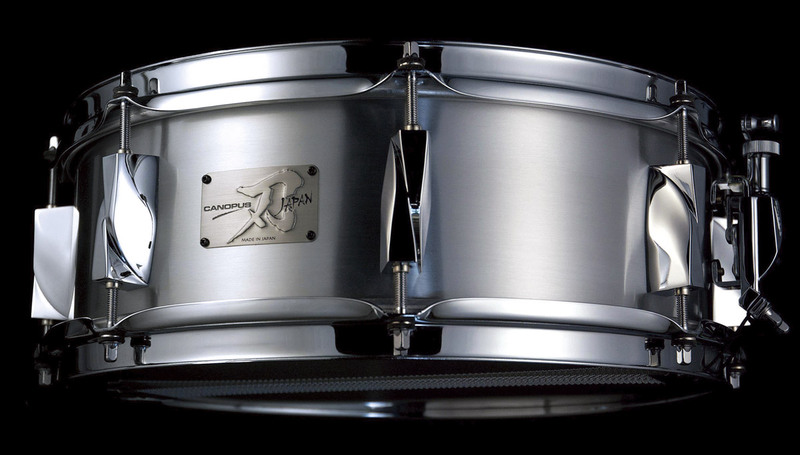 The Canopus JSA-1450 snare features an aluminum shell of 1mm thickness. It produces a fat, crisp sound – perfect for a variety of diverse musical situations. The eight Yaiba tension lugs allow the drum to resonate with a full presence – giving a lively, responsive, sound. At the same time, the lugs also control the sound to remove unwanted overtones. 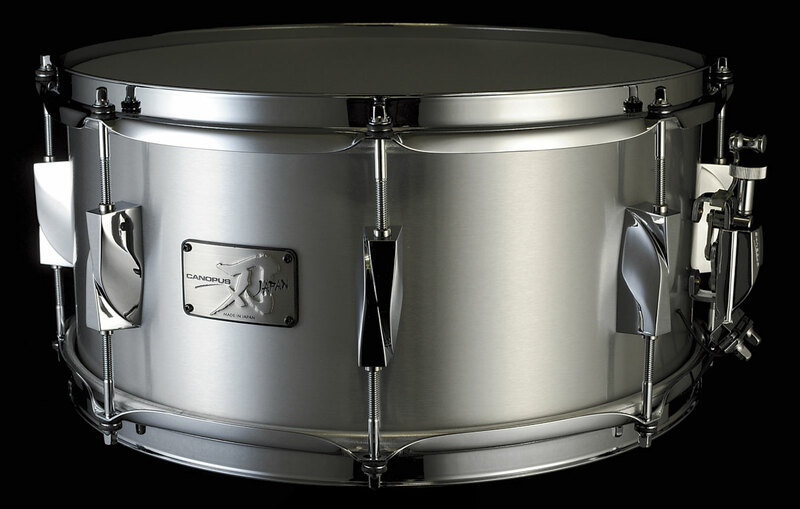 By enhancing and refining the natural characteristics of an aluminum drum, we have created a cohesive sound and made it very easy to control. Tuning is effortless and accurate – drummers can achieve their ideal sound and tension very quickly. Indeed, this is a snare drum which can fully express drummers’ inspirations.